Just How Safe is Online Banking? Home > Security > Just How Safe is Online Banking? Online banking has made everyone’s life easier, enabling us to pay bills, set up payments and transfers as well as arranging overdrafts, all within the comfort of your own home and without having to take time off work to visit your local branch during opening hours. However, online banking is not without its risks. Criminals are always looking for new ways to take easy money from unwitting victims. As the credit crunch continues to bite, the number of reported new cases of fraud and scams affecting online bank accounts has risen dramatically in the last couple of years, up by 200% according to disturbing new figures published by the UK’s fraud prevention service CIFAS. So just how safe is online banking? Despite the rise in fraud cases being reported, online banking is extremely safe, provided you take sensible steps to keep your personal and financial information secure. Follow these five simple steps to keep your online banking details secure. There’s no way that you can make yourself 100% safe from banking fraud, but by taking these measures you will be able to demonstrate to your bank that you have managed your account appropriately. Demonstrating that you have taken all reasonable security precautions means that, if you do fall victim to bank fraud, or your account details fall into the hands of an unauthorised person, your bank should agree to reimburse you fully for any financial losses. When you sign up for online banking, your bank will post your login details to you, to confirm that the account holder has made the request. Once your service has been activated, instead of putting the details in the bin, make sure that you destroy the letters they have sent you. Choosing your own password might seem like a chore to some people, and the opportunity to be creative for others (although please bear in mind that most financial institutions will refuse to allow you to use a swear word as a password!). Whatever you choose, make sure that it can’t be easily guessed, such as a surname, spouse or child’s name. And don’t simply choose ‘password’ either. Instead, use a combination of letters and numbers that you will find easy to remember, but wouldn’t be an obvious choice for anyone else. Here’s one example of how phishing works in practice. You receive an email that looks like it comes from your bank (it carries the proper logos and provides a link to what you believe to be the bank’s website). The email asks you for your security details or tells you to log into your account, usually by informing you of a problem that you need to rectify as soon as possible. But instead, you will be redirected to a fake website. The way to prevent this happening to you is simple. No bank will ever ask you for confidential account details over email. If you get an email asking you to confirm your bank details, do not follow the instructions, but contact your bank using your usual methods and inform them of the email. Make sure that you only ever access your bank account details from a secure location. Internet cafes and public libraries are notoriously unreliable places to input your details, but even work computers can be tampered with to remember your personal details. 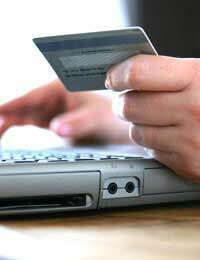 As a general rule you should only conduct online banking from the security of your own home computer. Spyware is the name given to computer programs that are deliberately installed onto a personal computer (often through clicking on an anonymous email or opening a website) and are used to take control of the user’s computer. Once installed, spyware can be used to remotely log your personal details and passwords along with comprehensive lists of the financial websites you visit. Make sure that you don’t open the door to fraudsters by installing spyware and virus protection software that will intercept and destroy any malicious programs before they take hold. @woody - l hope it works out for you Woody and these people are called to task for what they have done. @Paul - you would have to approach the company directly and ask it to refund the money to you. You don't give much information, so it is difficult to give more advice. I hope this helps.